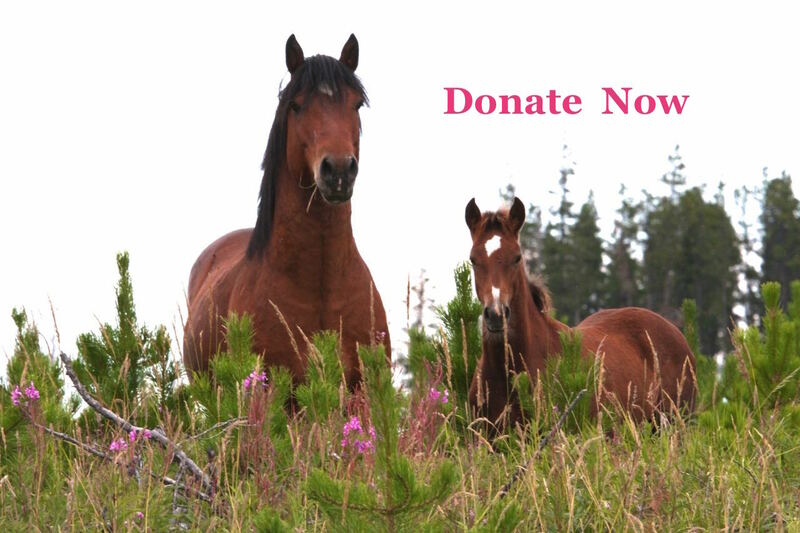 The Wild Horses of Alberta Society is a charitable organization that relies on your donations. Our Charitable Registration Number is 86431 5288 RR0001. Help Alberta’s wild horses continue to thrive with your support. We are now able to accept donations via PayPal and will issue income tax receipts. No account? Then please click on the following link. This will open the WHOAS’ membership/donation form on a new page which is a .pdf format that can printed off and mailed in. We are also set up for donations on CanadaHelps.org. In their Search by Category button, type in “horses” to find the Wild Horses of Alberta Society. This group will process your donation, advise WHOAS, and provide you with an income tax receipt. Alternately, you could purchase a gift card for someone from CanadaHelps and they could then give a donation to WHOAS. We thank you for your generosity and devotion to our cause by helping us to try to preserve the wild horses for today and future generations. I love how you help horses!! !